Even worse, has the stuff all turned black with a fungus - ‘sooty mould’ it’s called ? If you have, just take a good look on the stems of your plants, and underneath the leaves. I’d be willing to bet Joe’s favourite jumper ( your right, I hate that jumper ) that you have a scale insect problem. 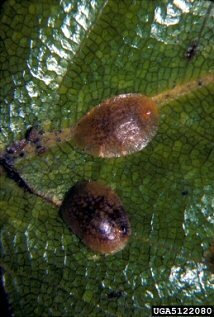 If the insects are little brown bumps, you have the ‘ hemispherical ’ soft scale insect. The adults don’t move around much, not at all really. They can live up to 3 months in a coolish environment although in most glasshouses where the temperature is reasonably high, around 22 - 24 degrees, they get on with the job after a couple of months, and the job ‘season’ is all year. It’s to produce hundreds of eggs. They hatch under the insects shell, and crawl all over the place. Rather unimaginatively they are called ‘ crawlers’. 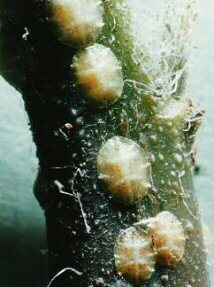 This is the time when you could spray them - before this they are protected by the scale insects shell. Imidacloprid is the chemical apparently - perfectly safe to humans they say. Although there is some silly talk about it being carcinogenic, but that’s probably just because Nicotine is it’s base. I mean with all these tests we never make a mistake with chemicals and medicines - do we ? 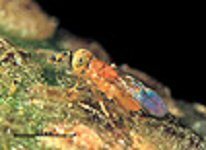 Unfortunate though if you are a bee, or an earthworm, or a lacewing, or a ladybird, or a sparrow it ranges from being acutely toxic to highly toxic to all of them - wonder if they care what the difference is ? Anyway, let’s get on with this examination of your sticky, blackish and probably slowly dying plants. 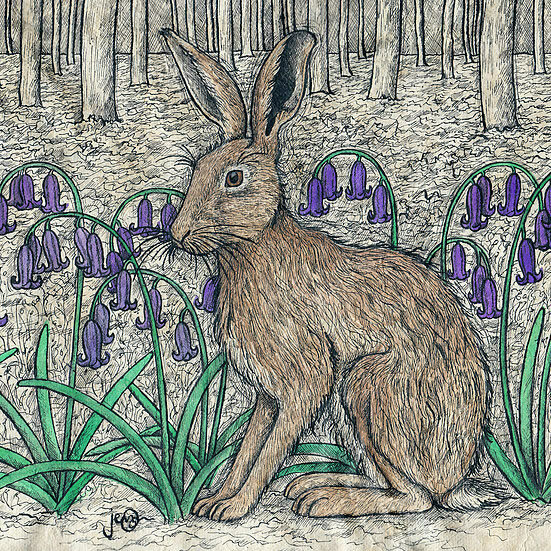 If you do not have any little brown ‘bumps’, or even if you do, have you come across some flat, brownish little creatures, probably about ¼” long ? These are the brown soft scale, guess why they are called that ! ( It’s Coccus hesperidum if we are being formal). Although perhaps not as long lived as the hemispherical scale, they have the same sedentary habits. The eggs hatch within a ‘brood chamber’ - very expressive. ( Did I also mention that ants love honeydew so they will soon come a calling - in some numbers.) O.K. I hear you say, you’ve been on, and on, and on about these pests but do you have a natural solution ? M. helvolus comes all the way from South Africa, so you can guess it quite likes it warm, around 24 degrees Centigrade is the minimum ideal - although it does get to work in cooler temperatures. 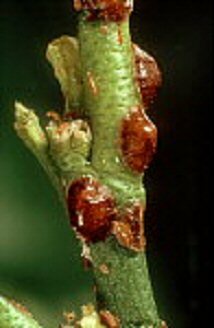 They lay their eggs on the scale insects, and also feed off them, a double whammy really ! 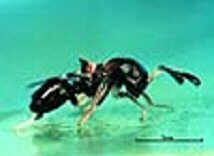 For the tiny little creatures they are, they have quite a long life of up to 3 months. M. helvolus tends to go for the younger scales, with the older ones it’s sometimes just too much effort to get through the ‘shell’. That’s where E.infelix comes in. They are a bit bigger and tougher than M. helvolus, and can get stuck in ( literally I’m afraid ! ) to the adult scales, from which the adult wasps pop out after 3 weeks or so. As they live a very long time for little creatures, 8-9 months or so, they together with their smaller - and I must say more colourful - friends should totally sort out these scale pests. Brightness is not really an issue though, as you will be hard put to see either of these little wasps, which are totally harmless to anything - apart from scales !